People whisper rumors about a family murdered at Ashburn House. They say its old owner, Edith, went mad in the building, and that restless ghosts walk the halls at night. When Adrienne arrives on the gothic house’s doorstep, all she has is a suitcase, twenty dollars, and her pet cat. She doesn’t know why her estranged Aunt Edith bequeathed Ashburn to her, but it’s a lifeline she can’t afford to refuse. Adrienne doesn’t believe in ghosts, but it’s hard to rationalize what she sees. Strange messages have been etched into the wallpaper. Furniture moves when she leaves the room. And a grave hidden in the forest hints at a terrible, unforgivable secret. 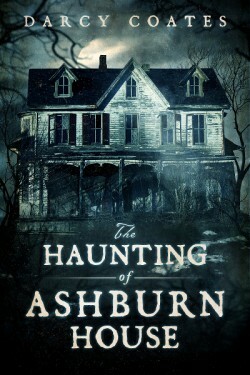 Something twisted and evil lives in her house, and Adrienne must race to unravel the decades-old mystery… before she becomes Ashburn’s latest victim.